From left: Margaret Salcedo and her brother Gary, local activists, "Do Nothing" District Attorney Clint Wellborn, pit bull owners John and Angie Hardiman and one of the attacking pit bulls. UPDATE 10/19/11: In a sudden turn of events, the couple whose pit bulls mauled Margaret Salcedo to death Easter Sunday were jailed yesterday after two persons from Child Protective Services came forward with new information about the dogs. Joseph Hardiman, 40-years old, and his wife Maria Angelica "Angie" Hardiman, 32-years old, face charges of conspiracy and four felony counts of violating the New Mexico Dangerous Dog Act, according to court documents. The news comes a few weeks after District Attorney Clint Wellborn announced that charges would not be filed, unless credible sources came forward with information showing that the dogs' owners "knew of the propensity of a dog to inflict serious injury." The new information was provided to Wellborn a day after his announcement. Both employees had seen the pit bulls and heard about their upbringing during supervised visits between Angie Hardiman and her daughter. During two supervised visits in 2010, Angie Hardiman allegedly told one of the employees she and her husband "were going to train the puppies to be attack dogs and that they were going to sell them as guard dogs," according to Tuesday's filing. At a subsequent meeting, Angie Hardiman reportedly brought one of the dogs - Diesel - into the CYFD office, where it lunged at an employee, repeatedly growling and snapping at her until she retreated. Angie Hardiman was not allowed to bring the pit bulls to subsequent meetings. The victim's brother, Gary Salcedo, and a group of local residents had pressured Wellborn to charge the Hardimans under the state's Dangerous Dog Act for months. Speaking to the ABQ Journal, Gary Salcedo said, "Has this been a very emotional, draining task? Yes. Has it been financially draining? Yes, but it’s something that had to be done. And that makes it worthwhile. That’s the key fact, that somehow, somewhere, she (Margaret Salcedo) will get justice." ...former Truth or Consequences police Officer John Hardiman, a certified dog handler and trainer. KVIA.com reports that the victim, Margaret Salcedo, was the mother of two with one grandchild and another on the way. 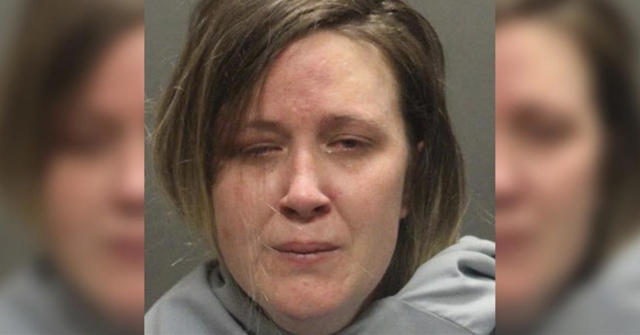 Arriving officer James Harrington said, "The first thing I saw was the female subject lying on the roadway with four of these dogs surrounding her, literally on top of her, ripping chunks of flesh from her." Neighbor (and Maul Talker) Linda Roth said in one breath, it was a "blood curdling scream" and in the next breath, "It's not the dog, it's the owner." This deflection of blame away from the pit bulls, who violently killed an innocent woman, is shameful and pathetic. Truly Ms. Roth, it was not the dogs' owners, John and Maria Hardiman, out on the pavement Easter Sunday "ripping chunks of flesh" from Salcedo. It was their four pit bulls, who reportedly had no prior incidents of aggression. The Hardimans are responsible for all criminal and civil penalties. But let's be clear on who did the actual ripping and killing. Imagery of three of the four pit bulls has been captured by KOB.com. Witness Laura Russell was also interviewed. Russell won't be forgetting anytime soon what she saw, specifically the horrific condition of Margaret Salcedo after being ripped apart by four pit bulls. One pit bull can and will brutally attack and kill an adult. Four pit bulls? Salcedo, who is described as a loving person without a mean bone in her body, did not stand a whisper of a chance against these dogs. Our hearts go out to the Salcedo family. 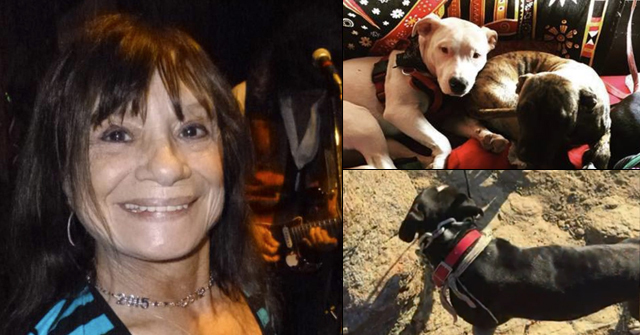 Truth or Consequences, NM - In a developing story, a woman was killed Easter Sunday by four pit bulls in a New Mexico town. Margaret Salcedo, 48-years old, was walking alone when the four dogs, who had escaped from a private residence, viciously attacked Salcedo. Police Chief Patrick Gallagher said the victim was "bitten on all her extremities and lost a lot of blood." She died within hours of reaching the hospital. The dogs belonged to John and Maria Hardiman. 1The wording of the felony penalty law (77-1A-6) re-emphasizes the state's "one bite" rule: "Prosecution pursuant to this section requires a showing that: (1) an owner knew of the propensity of a dog to inflict serious injury." 3Owning four pit bulls ought to be evidence enough. More details about the DA's findings is located in an ABQ Journal article, unfortunately, the paper has a pay wall. 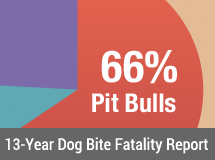 Pit bulls are on track to kill more than 20 Americans this year. At the end of 2011, the stats will show about 60-65% of all fatal dog attacks in USA are committed by pit bull dogs. If you look at those numbers on a graph or pie chart, it is shocking. Even more shocking when you consider this breed comprises only 3-5 % of total dog population. You need not be a forensic analyst to figure it out folks. BSL works. Eliminate the deed, BAN THE BREED. What an awful, awful way to die. Poor lady. Pray for her family. I hope that the Salcedo family will fight hard and loudly for their victimized relative, because the rich, white racists that constitute the "pit bull advocacy" community will work hard to victimize any victim, blame the victim, and get sympathy for these fighting breed dogs. The poor and minorities (and women, elderly, and children among them) suffer the most from pit bull attacks, yet the rich, white pit bull advocates take away their rights and work very hard to enable more attacks, more persecution, for victims that have small voices in comparison to the big bank accounts and big mouths of those representing fighting dogs. Money buys media attention and using the media to propagandize for fighting dog interests. The poor and minorities are lost in the lies. Pit bull advocates (also known as business lobbyists) will work hard to disappear Margaret Salcedo's attack from history. Please, Salcedo family, be strong and do not allow these evil, hateful people to do this. This is a battle for civil rights. US PITICIDE # 281 despite the myth they were never bred to be human aggressive…. Pits are unique that they pick off adults with almost equal frequency that they kill children…perhaps that is why the dogfighters came up with the perverse "Nanny Dog" fairy tale. PitBullPushers just gave notice of the considerable social injustice that occurs in the world of U.S. dog maulings. This social injustice is not often talked about. I believe the only time it has been brought up by any country in one of our blog posts regards the case of Stanislav Meglic of Slovenia. After the release of the dogs, but prior to the compensation hearing, one Slovenian newspaper remarked on the social injustice of the 2006 incident. The victim was forced to wait nearly four years for any compensation.6 The dogs' owners, who were prominent doctors, were able to manipulate the system through influential connections in order to "save" the dangerous dogs. Specifically, the paper states, "Thus, dogs have many more lobbyists and lawyers, as a "regular" citizen." At least one article about Margaret Salcedo refers to a 2006 fatal dog attack in Gallina, NM. We just found it; it involves a pit bull. A Gallina handyman was mauled by a pit bull Tuesday, then dragged by the dog more than 50 feet, a Rio Arriba County Sheriff’s deputy said. Juan Garcia, 52, died after the attack, which happened at a home off County Road 419 in Gallina. Pit nutters are the dumbest humans to walk the face of the Earth. I'm sorry that the truth of them is so offensive to their inbred ears. You can lay more than that on the table (Sarcasmo) and be assured that you will not loose a penny. This is the same POS District Attorney that let the Ranger Walk for shooting the unarmed man in the back at Elephant Butte State Parks. Being a resident of the same community that the lady was killed in, rest assured that they are already looking for ways to sweep this under the rug also. Former Law enforcement officer, security guard, tell me the owner of the dogs did not know what those dogs are capable of. 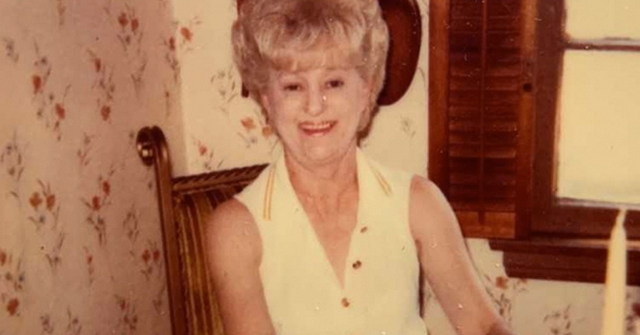 Ms Salcedo was the 166th American killed by a Pit since the CDC made the "no breeding difference" proclamation and stopped tracking DBRF data in 1998. HUG A DOG LOBBIEST TODAY! Someone has made a follow up video (a resident of Truth or Consequences) — citizen journalism! Pit fans–tell the Truth about your dogs or we all suffer the Consequences. A statute limitation after a death? However, Wellborn has urged anyone with first-hand information that former Truth or Consequences police Officer John Hardiman knew his dogs "were dangerous or vicious, or were trained as fighting dogs" to come forward to law enforcement before the five-year statute of limitation runs out. Update…These two perps were arrested today since CPS caseworkers came forward with new information. These people are disgusting. He's a former police officer???? Geez. I did not read why she has to have supervised visits…But c'mon bringing your abused-to-sell-as-guard-dog pit bulls? Wonder what they're going to do with the 4 new pitbulls our idiot Animal Shelter let the Hardiman's adopt a few days after their previous four killed Margie? You think that's a shame, you should read what one of our City Commissioners, Frances Luna, wrote in her newspaper. Told the Salcedo family last week "there's the highway…hit the road." BUSTED! Now let's see if Wellborn can pull this off. He didn't sound too convincing: "We're just going to go forward with the case, have a hearing scheduled at some point"
Dead serious. Since the Hardiman's hadn't been "charged" with anything in the first few days, our Animal Contro Shelter felt there was nothing wrong with letting them adopt 4 more pit bulls. So they did!!! PEOPLE THAT FOLLOW THIS WEBSITE PERHAPS DO NOT BELIEVE THAT IMMEDIATELY FOLLOWING A SERIOUS OR FATAL PIT BULL MAULING — AND THE DOGS HAVE BEEN SHOT TO DEATH OR OTHERWISE CONFISCATED FOR GOOD — THAT THESE PIT BULL OWNERS WILL OBTAIN NEW PIT BULLS. IT REALLY IS TRUE FOLKS AND THERE ARE NOT MANY LAWS TO STOP THEM. THESE PEOPLE ARE FAR FROM NORMAL DOG OWNERS AND CANNOT AND WILL NOT BE WITHOUT THEIR DANGEROUS PIT BULLS. "It was scary out there in the dark knowing those animals were roaming around," Deputy Todd Kanavel told the Times Recorder. "But what's scarier is the thought that one of those big cats or bears could get hold of a child. We're all upset about this. It's not a happy situation at all." Replace "big cats or bears" with "pit bulls". How is this scarier than a woman being torn apart by 4 pit bulls while walking in her neighborhood? I'm glad that the owners have been arrested. I hope it sticks. It's repulsive that Mrs Salcedo hadn't even been buried yet and these two maniacs were able to walk out of the shelter with new Pitties! There needs to be a Radicalized Pittie Organization Watchlist. These people are not living up to there public safety obligations. Notice not a single Pit Nutter has criticized this shelters criminal irresponsibility. The silence is deafening…..
good job finding photos on these vermin nutters. i looked for John and Angie Hardiman but came up empty handed.